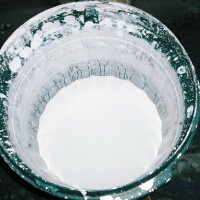 Lime has been used in this country since Roman times and became throughout the centuries the standard material for bonding and surface building. However after cement became available at the end of the 19th century the use of lime declined steadily and by the 1950s had virtually ceased to be used in building construction. The immediate results obtained with cement were considered superior and today continues to perform well in mass concrete and engineering structures. However its use in the repair of old buildings is totally unsuitable. Being too hard and rigid and impermeable. In contrast lime based mortars allow both expansion and contraction and permit the evaporation of moisture to take place reducing the risk of trapped water and decay. In offering these qualities of flexibility and permeability it allows the building fabric to move and breathe. 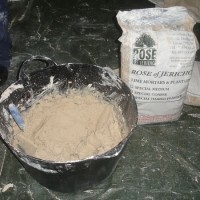 Such mortars are compatible with traditional building materials and are appropriate for building mortars, external rendering, pointing, internal plastering and lime washes. 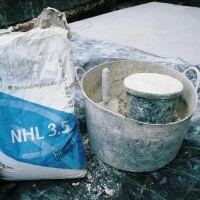 Lime based mortars are a traditional and proven material and are fundamental to building work particularly repairs to traditional and aged buildings.